Put your brand front and centre at every opportunity with branded stationery. It’s not only an opportunity to provide your details. Your business card portrays an impression of you and your business. Choose to matt laminate your business card to enhance colours and tactility whilst making it more durable. Want your Business Card to last in environments where other paper based materials break down?! Why not consider our Tear resistant paper? 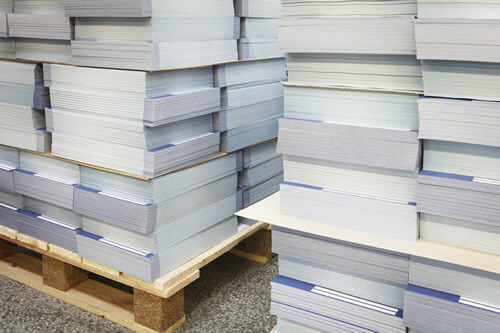 Eliminate storing boxes of letterheads in a backroom for months, even years. Print what you need now. Sooner Than Later can produce high quality letterheads in small volumes quickly and cost efficiently. Want to find out more about Sooner Than Laters ability to print your invoices, statements or renewal letters on letterhead paper in one print pass? Find out more under Transactional Mail. Don’t miss an opportunity to have your brand visible – include a compliment slip in with your deliveries and correspondence.